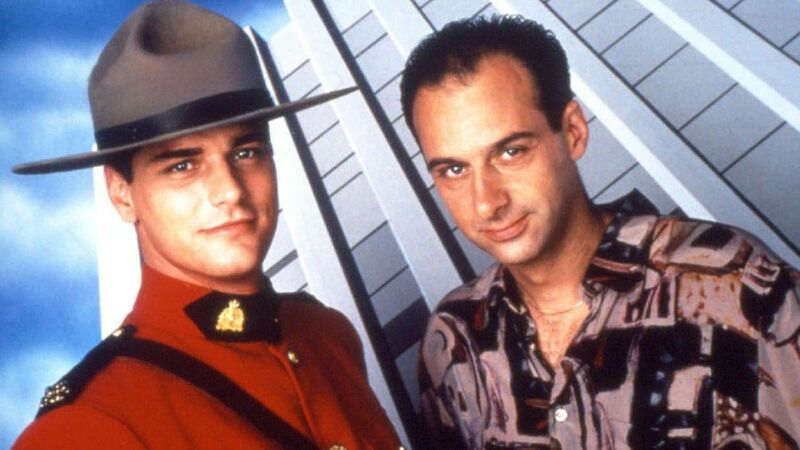 Here's where to watch every episode of Due South season 2. Mouseover or tap an episode to see where to stream it. Click or tap the play icon to stream it on the best available service. North Nov 9, 1995 A plane crash blinds Fraser and strands the pair in the wilderness. Fraser and Ray's vacation to Canada to rebuild his father's cabin doesn't go as planned when it turns out the pilot of their airplane is actually an escaped felon. The felon jumps out of the plane, causing it to crash. Fraser is blinded in the crash, and eventually loses the use of his legs. Ray tries to carry Fraser out of the woods, and the two cops still have to catch the felon, while dealing with the ghosts of their two fathers. Vault Dec 7, 1995 During a bank robbery, Fraser and Ray are trapped in a time-locked, water-filled vault. After Ray is declared dead due to a mix-up with the insurance company, Fraser and Ray go to Ray's bank, where the end up in the middle of a robbery, running into someone they've met before...Morgan. Fraser and Ray lock themselves in the vault and Fraser sets off the sprinkler system, hoping to hit the criminals with a tidal wave of water. Meanwhile, Frannie is waiting in Ray's car outside, and enters the building, thereby becoming a hostage. Witness Dec 14, 1995 Ray is jailed for contempt of court; Fraser gets arrested to protect him. Bird in the Hand Dec 21, 1995 Fraser must see that a federal witness comes safely to trial. The Promise Jan 11, 1996 A teenage thief's life is put in danger when she steal an appointment book which could destroy a powerful senator's career, and Fraser and Ray have to save her. Mask Jan 19, 1996 When valuable aboriginal masks are stolen from a museum, Fraser and Ray have to find the culprits. Juliet is Bleeding Feb 1, 1996 Ray is convinced that he's found Guardino's killer in mafia boss Frank Zuko, but is torn when he realises he's the brother of his childhood sweetheart, Irene Zuko. One Good Man Feb 8, 1996 Fraser rallies the tenants to do something about the current situation, but when they get the landlord's attention, he evicts them all. In order to fix what he did, Fraser then goes in front of city council. The Edge Feb 15, 1996 Ray and Fraser team up with Anita Cortez to protect their countries diplomats at a NAFTA convention, and a series of mishaps land Fraser with envelope duty, until he and Cortez can put aside their mutual enmity to work together. Starman Feb 22, 1996 Ian MacDonald claims aliens kidnapped his girlfriend Audrey as he was about to propose. Ray and Fraser reluctantly investigate, and learn that Audrey is involved in a shady government organization. We are the Eggmen Feb 29, 1996 Ray and Francesca fight over a winning lottery ticket...she wants half the winnings because she put in half the money, and he says it's all his money because he purchased the winning ticket solely with his own money. After accidentally creating an accident with a local farmer, Fraser is sued by him, and later learns he's created a special brand of egg that everyone wants. Episode 12 Mar 28, 1996 Fraser goes undercover as a woman at a girls' school after Ray's ex-girlfriend comes to him for help. Ray, meanwhile, worries that he turned his ex into a nun. White Men Can't Jump To Conclusions Apr 4, 1996 A teen takes the rap for a drug dealer but Fraser and Ray are determined to prove his innocence. All the Queen's Horses Apr 11, 1996 Terrorists take a train carrying a group of singing mounties. Body Language Apr 25, 1996 An exotic dancer tells about mobsters taking over strip joints. The Duel May 2, 1996 A paroled killer leaves clues about his next victims for Ray. Red, White or Blue May 23, 1996 Terrorists strap Fraser and Ray to a bomb. Flashback May 30, 1996 Fraser has amnesia after being thrown from a speeding van driven by diamond thieves and forgets everything -- his name, his identity, and the license plate of the speeding van. Ray tries to prod Fraser's memory by recounting some of their times together.